For Christians, Easter is a miraculous promise of love kept, because Jesus resurrected, as foretold, three days after his undeniable death by crucifixion. Yet, as if coming back to life isn’t enough, here’s an added kicker for me. Jesus chose to appear first to a woman. This is a notable fact, recorded in all four gospels, given that in those times, authority in all important matters were given to men, while women were to master hospitality and family. 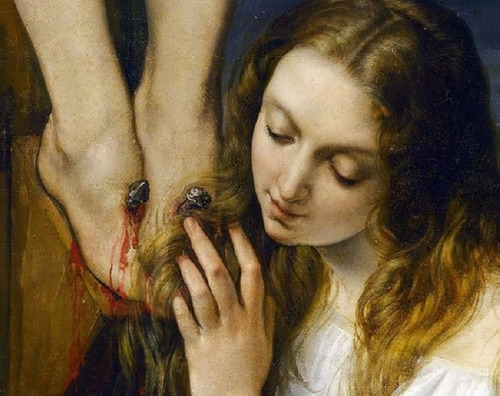 Yet at that pivotal moment in Christian history when Jesus triumphed over physical death, he offered “the first look” to Mary Magdalene and the women with her. My takeaway? God favors the marginalized. He will give the most important assignments to the least expected among us, knocking hypocrisy on its keester. Even today, society does not see the marginalized as equal, never mind favored. The lack of money or status, or the inequalties of gender or race are ongoing struggles, whether one is religious or not. Then compound those challenges with negative stereotypes about religion. Strangers to faith dismiss Christianity as oppressive. There’s no doubt many have suffered in the name of God, but let’s not blame God for the actions of those who wrongly using his name. Jesus was radical in teaching and role modeling acceptance. He especially helped those with disabilities, the mentally ill, and the demon-possessed. He held up the poor and the oppressed, and that certainly included women. The great honor of revealing his return from the dead was bestowed upon Mary Magdalene and to the women with her. Jesus told them to carry the news back to his disciples. Imagine that. Women were commissioned as the first messengers of God’s promise fulfilled. Yet when they reported back to Jesus’s apostles, the women were dismissed. Luke 24:10-11 reads, It was Mary Magdalene, Joanna, Mary the mother of James, and the others with them who told this to the apostles. But they did not believe the women because their words seemed to them like nonsense. But he did, and all four gospels say so. Jesus lived to upend the haughty, the righteous, and the narrow-minded. During his lifetime, Jesus tore down “religious” traditions that were divisive, oppressive, or that made others feel “less than.” It means we don’t have to be limited from our full potential by restrictions imposed by culture, society or even the so-called religious. I love the magnificence of the Easter message. The springing forth of new life in all its lavender-sunrise-yellow-daffodils-pink bunny splendor accents the unfathomable concept of Jesus’s power over death. His appearance first to women is an affirming reminder to overcome the discouragement brought on by stereotypes and assumptions. Clearly, Jesus didn’t buy into it. This column ran in The Patriot Ledger on April 1, 2017 and nationally through GateHouse Media/More Content Now.